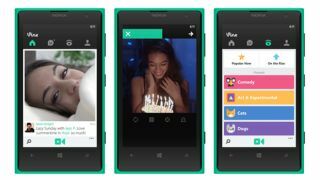 Vine has announced it is graduating from the mobile-only appverse, with web profiles coming soon for all users. Previously the six-second video montages could only be viewed through the mobile app, through permalinks posted on Facebook and Twitter or shared via email. The Twitter-owned service is now inviting users to sign up for their personalised vanity URLs at the Vine.co website, which has, until now, been holding page for the iOS, Android and Windows Phone apps. The announcement follows Instagram's launch of web profiles last year, which allowed users to browse the full image and video libraries of folks they follow, just as they could on the mobile app. The Vine roll out is likely to follow a similar format with no capacity for users to upload their videos through the web portal itself. No word yet on when Vine will roll out the web profiles, but sometime early in the new year seems probable.